Do a butterfly-cut on fish, marinate with salt and pepper. Heat up oil in sauce pan. Sweat onion and Tom Yam Paste till fragrant. Add in fermented shrimp paste, Rock Sugar Honey Sauce and Lime Powder. Fold in pickled garlic, ginger flower and coriander stem. Heat up oil in wok, deep fry fish till crispy. Drain well and transfer crispy fish to plate. 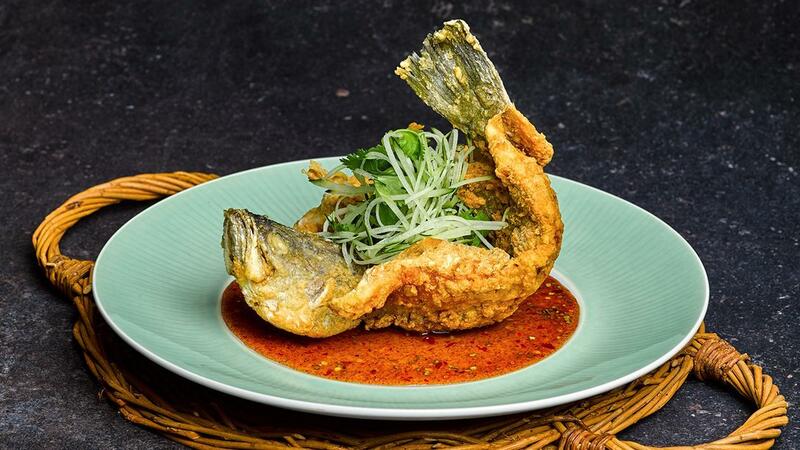 Drizzle tom yam sauce over fish. Garnish with shredded cucumber and coriander.